Belarus became an independent republic in 1991, after the breakup of the Soviet Union. onal community, centralized power in the executive branch (president), headed by Alyaksandr Lukashenka. Economic and political reform in Belarus has stalled or is being reversed under his authoritarian government. The Belarusian Government’s human rights record remains very poor. President Lukashenka gained a third five-year term as president in March 2006, in an election that international observers judged to be seriously flawed. Democratic nations, including the United States and the members of the European Union, condemned the subsequent governmental crackdown on peaceful protests in Minsk, and imposed visa restrictions and other sanctions on senior Belarusian officials. As a result of the release of political prisoners in August 2008, the EU lifted its visa restrictions, but those of the United States remain in effect. Both Belarusian and Russian are official languages, and Russian is widely spoken throughout the country, particularly in the cities. Tourist facilities are not highly developed, but food and lodging in the capital and some regional centers are adequate. Read the Department of State Background Notes on Belarus for additional information. Travelers must obtain a visa in advance to visit or transit through Belarus. Travelers who do not have a visa cannot register at hotels. U.S. citizens visiting or residing in Belarus are required to register with the local office of the Citizenship and Migration Department of the Ministry of Interior (formerly OVIR) within three business days after arrival. The registration fee is one National Minimum Tariff Unit (currently about $17). Failure to register can result in fines and difficulties when departing. U.S. citizens staying in hotels are automatically registered at check-in. Visa validity dates are strictly enforced; travelers should request visas of sufficient length to allow for changes in arrival and departure plans, and should carefully review the beginning and ending dates of their visas before traveling. A valid exit visa is necessary to depart Belarus. Generally, the visa issued by a Belarusian Embassy or Consulate is valid for both entry and exit. Photocopies of visas may be helpful in the event of loss, but note that a copy of a visa will not be sufficient for entry or departure, as Belarusian border officials always require original travel documents. Travelers who overstay their visa’s validity -- even for one day -- will be prevented from leaving until they have been granted an extension by the Department of Citizenship and Migration. United States citizens without valid visas face delays in leaving Belarus and may have trouble finding adequate accommodation. By Belarusian law, travelers with an expired visa may not check in at any hotel or other lodging establishment. U.S. citizens traveling through Belarus to other countries are strongly advised that there is a transit visa requirement for entering and leaving Belarus. Transit visas are required even for travelers transiting on direct overnight trains with no stops or transfers on Belarusian territory. Transit visas should be obtained prior to any journey that requires travel through Belarus. Commonwealth of Independent States (CIS) and Russian visas are no substitute for this transit visa. Most travel agencies, including those in Russia and CIS countries, as well as train ticket sales personnel, are often not aware of this visa requirement and may not seek a transit visa for a traveler unless instructed by the traveler to do so. U.S. citizens attempting to transit Belarus without a valid Belarusian transit visa have been denied entry into the country and forcibly removed from trains. American citizens are advised not to pay any border or railway officials for transit visas or “transit visa fines,” as these officials are not authorized to issue such visas. Americans finding themselves in Belarus without transit visas, if confronted by border or train personnel, should request to be put in contact with consular officials at the U.S. Embassy in Minsk. U.S. citizens traveling to Belarus via Russia are reminded that they must possess a Russian transit visa in addition to their Belarusian visa. Russian Embassies outside of the United States, including the Russian Embassy in Belarus, generally do not issue transit or tourist visas to Americans. Russian transit visas are not normally obtainable at Russian airports. The Law on the Legal Status of Foreign Citizens and Stateless Persons in the Republic of Belarus states that all foreign citizens may be granted permission for a temporary stay (up to 90 days within a chronological year), temporary residence (up to one year), or permanent residence. Belarusian Embassies and Consulates will issue visas for temporary stays. A temporary stay visa will allow the bearer to be present physically in Belarus for a maximum of 90 days within the 365-day period for which the visa is issued. Once an individual has spent 90 days in Belarus, at one time or through a combination of visits, he or she will not be eligible to receive another visa until the original 365-day period has passed. Individuals who receive visas for a temporary stay, but wish to remain in Belarus for longer than 90 days, must apply for temporary or permanent residence with the Ministry of Interior. Individuals must make the application in Belarus within the 90 days allotted for a temporary stay. Travelers may contact the Consular Section at the U.S. Embassy in Minsk for information about application procedures for temporary or permanent residence. Every foreigner entering Belarus is required to fill out a migration card. This card should be retained for the whole period of stay and should be presented to the border authorities when exiting Belarus. Foreign citizens without a valid Belarusian visa, migration card, or proper registration with the Department of Citizenship and Migration as a temporary visitor or resident can be subject to sanctions up to and including deportation under the provisions of the Code of Administrative Violations. Depending on the circumstances, deportees also can be banned from returning to Belarus for a period from one to ten years. Foreign citizens visiting and transiting Belarus also should be prepared to demonstrate sufficient financial means to support their stay. For individuals staying in Belarus for less than one month, this amount is equal to approximately $15/day/person. For those staying for longer than one month, the requirements call for $375/month/person. Belarusian officials may request this proof of funds at the time of visa application, at the border, or during registration. According to the Ministry of Interior, cash, credit cards, paid hotel reservations, or a letter from an inviting party pledging full financial support are sufficient means to demonstrate financial wherewithal. Belarus requires all foreign nationals (other than accredited diplomats) entering the country to purchase medical insurance at the port-of-entry, regardless of any other insurance they might have. Costs for this insurance will vary according to the length of stay. Travelers entering Belarus by air with more than 35 kilograms of luggage (77 pounds) will be charged 2 Euros per kilogram in excess of that limit. The fee must be paid in dollars or Euros. In accordance with current customs regulations, foreigners may enter Belarus with up to $10,000 and exit the country with up to $3,000 without submitting a written declaration. For additional information on customs rules for Belarus please see the Belarusian State Customs Committee official web site. The Government of Belarus has not provided information defining the parameters of those zones. Travelers should be alert for warning signs, road barriers, and/or border guard posts, and are advised not to cross into such areas without permission. Foreign missionaries may not engage in religious activities outside the institutions that invited them unless they have a religious worker visa. One-year validity, multiple-entry, "spiritual activities" visas, which are required of foreign missionaries, can be difficult to get, even for faiths that are registered with the government and have a long history in the country. Approval often involves a difficult bureaucratic process. A law enacted in 2002 required all religious groups and organizations, including recognized “traditional” religions such as Russian Orthodoxy, Roman Catholicism, Orthodox Judaism, Sunni Islam, and Lutheranism, to re-register; most organizations have done so. Unregistered religious groups may not legally gather for religious purposes. Many unregistered groups continue to meet, however, leaving them vulnerable to selective implementation of the law by authorities. The law also stipulates that only Belarusian citizens can head religious organizations in Belarus. In recent years, authorities have harassed, warned, fined, and briefly detained members of some unregistered and so-called "non-traditional" faiths for engaging in unsanctioned worship or proselytism. The U.S. Embassy strongly recommends that any U.S. citizen who chooses to attend a religious service of an unregistered religious group do so only after consulting with members of the group about the risk of harassment or possible arrest by local law enforcement authorities. U.S. citizens are also urged to contact the U.S. Embassy should they encounter any problems with authorities due to their participation in such services or events. Naturalized U.S. citizens originally from Belarus do not automatically lose Belarusian citizenship upon naturalization. Such individuals retain Belarusian citizenship unless they take specific steps to renounce it. The Belarusian authorities will allow naturalized U.S. citizens from Belarus to enter the country without a valid Belarusian passport on a “certificate of return” issued by Belarusian Embassies and Consulates, but please note that a valid Belarusian passport will be required to leave the country. It can take two to four weeks to receive a new Belarusian passport. For additional information please consult with the Embassy of Belarus at http://www.belarusembassy.org. Belarusian citizens, including dual nationals, are subject to Belarusian laws requiring service in Belarus’ armed forces, as well as other laws pertaining to passports and nationality. American-Belarusian dual nationals of military age who do not wish to serve in the Belarusian armed forces should contact the Embassy of Belarus in Washington, D.C. to learn more about an exemption or deferment from Belarusian military service before going to Belarus. Without this exemption or deferment document, they may not be able to leave Belarus without completing military service, or may be subject to criminal penalties for failure to serve. Children born to Belarusian parent(s) before August 15, 2002, even if born in the United States and in possession of a U.S. passport, may not be issued a Belarusian visa for travel to Belarus. The Belarusian government considers these children to be Belarusian citizens until age 16, when they may choose to accept or reject that claim to citizenship. Instead of a visa, a "certificate of return" is issued that will allow the child to enter Belarus. It is imperative that parents of such children understand that, in order to leave the country, the child will be required to have a Belarusian passport if he/she does not already have one. It can take anywhere from two to four weeks to complete the application procedures and receive a new Belarusian passport. (Note: if the parent left Belarus on a series PP passport, given to Belarusians who reside abroad and have cancelled their local registration, then Belarus would not require the child to reject his/her claim to citizenship). For children born to one Belarusian parent and one foreign parent after 2002, the parents must by mutual consent agree to Belarusian citizenship for the child, regardless of the place of birth. If the parents cannot reach consensus, Belarus would only force Belarusian citizenship on a child in cases where the child would be left stateless. Visit the Embassy of Belarus web site at http://www.belarusembassy.org/ for the most current visa information, or contact the Embassy of Belarus at 1619 New Hampshire Avenue, NW, Washington, DC 20009, tel: 202-986-1606, fax: 202-986-1805, consul@belarusembassy.org. Both organized and spontaneous demonstrations occur in Belarus. Localized street disturbances relating to political events occur most frequently in Minsk or larger cities. In some instances, authorities may use force to disperse protesters; bystanders, including foreign nationals, may face the possibility of arrest, beating, or detention. Even demonstrations intended to be peaceful can sometimes become confrontational and escalate into violence. For this reason, it is recommended that American citizens avoid all demonstrations and protest gatherings. Security personnel may at times place foreign visitors under surveillance. Hotel rooms, telephones, and fax machines may be monitored, and personal possessions in hotel rooms may be searched. Taking photographs of anything that could be perceived as being of military or security interest may result in problems with authorities. These sites are not always clearly marked and application of these restrictions is subject to interpretation. For the latest security information, Americans living or traveling abroad should regularly monitor the Department of State’s Bureau of Consular Affairs’ web site at http://travel.state.gov, where the current Travel Warnings and Travel Alerts, as well as the Worldwide Caution, can be found. Belarus has a moderate incidence of street crime. Though violent crime against foreigners is rare, criminals have been known to use force if met with resistance from victims. Common street crime, such as mugging and pocket picking, occurs most frequently near public transportation venues, near hotels frequented by foreigners, and/or at night in poorly lit areas. American citizens and other foreigners in Belarus have also been the victims of car theft, car vandalism, and hotel and residential break-ins. Foreigners visiting nightclubs should pay particular attention to their surroundings, as criminal elements may rob unsuspecting patrons after surreptitiously drugging their drinks. Travelers should keep a copy of their passport in a separate location from their original passport. As in many countries around the world, counterfeit and pirated goods are widely available in Belarus. Transactions involving such products may be illegal under local law. In addition, bringing them back to the United States may result in forfeitures and/or fines. More information on this serious problem is available at http://www.cybercrime.gov/18usc2320.htm. The Embassy/Consulate staff can, for example, assist you in finding appropriate medical care, contacting family members or friends and explaining how funds could be transferred. To see if you can be compensated in the U.S. as a victim of violent crime overseas, see our information on Victims of Crime. Medical care in Belarus is limited. There is a severe shortage of basic medical supplies, including anesthetics, vaccines and antibiotics. Elderly travelers and those with existing health problems may be at risk due to inadequate medical facilities. Travelers are encouraged to ensure that they bring an adequate supply of prescription medications in the event that there are delays in departing Belarus. Tuberculosis is an increasingly serious health concern in Belarus. For further information, please consult the CDC's Travel Notice on TB at http://wwwn.cdc.gov/travel/yellowBookCh4-TB.aspx. The U.S. Department of State is unaware of any HIV/AIDS entry restrictions for visitors to Belarus on a 30 day visit. Long-term residents or students must obtain an HIV/AIDS test in Belarus and submit the results to the Department of Citizenship and Migration. The information below concerning Belarus is provided for general reference only, and may not be totally accurate in a particular location or circumstance. American citizens on short-term visits to Belarus (up to 90 days) are permitted to drive with a valid U.S. state driver’s license. U.S. citizens should, therefore, always carry their passports with them to prove date of entry into the country in the event that police stop them. If residing in Belarus for more than 90 days, one should apply for a Belarusian driver’s license. Drivers will be required to successfully complete a two-part test in Russian; the first part is a computer-based multiple-choice test on local driving rules, and the second part is a driving test. To receive a local driver’s license, drivers will also need to complete a medical exam at a special medical clinic, which will include a general physical, a chest x-ray, and an eye exam. Radar traps and road construction sites, often unlit at night, are widespread. Except for a stretch of the main east-west highway, where the speed limit is 100 km/h (60 mph), the maximum speed limit on divided highways or main roads outside village, town or city limits is 90 km/h (55 mph). Speed limits in cities are 60 km/h unless marked and will usually range between 40 km/h and 70 km/h, with frequent radar traps. Visible and hidden dangers exist, including potholes, unlit or poorly lit streets, inattentive and dark-clothed pedestrians walking on unlit roads, drivers and pedestrians under the influence of alcohol, and disregard for traffic rules. Driving in winter is especially dangerous because of ice and snow. Driving with caution is urged at all times. Radio-dispatched taxi services are generally reliable, arrive promptly once called and usually offer the lowest fare. Most radio-dispatched taxis are metered, although fares can vary greatly and are considerably higher in the late evening and overnight hours. The use of informal taxis or "gypsy cabs" is not recommended. Minsk has a clean, safe, and efficient subway system that easily reaches most of the city center. Service is stopped briefly during the early morning hours, but otherwise runs regularly throughout the day. Ticket prices are extremely low by western standards. Though their routes are extensive, buses and trolleys lack heating or cooling capabilities and are usually crowded. Travelers on all public transportation should be wary of pickpockets and other petty crime. For travelers interested in car rental, only one major western rental agency currently operates in Minsk. In general, rental car networks in Belarus are not well developed. Travelers may experience significant delays (of several hours) in crossing the border by road into neighboring countries. Also visit the website of the country’s national tourist office and national authority responsible for road safety at: http://siteks.com/sites/touragency/. As there is no direct commercial air service to the United States by carriers registered in Belarus, the U.S. Federal Aviation Administration (FAA) has not assessed Belarus’s Civil Aviation Authority for compliance with International Civil Aviation Organization (ICAO) aviation safety standards. Traveler's checks are normally not accepted in Belarus as a means of payment, but can be freely exchanged for cash at any bank. Most hotels, restaurants, and stores accept major credit cards. All Belarusian banks provide cash from major credit cards. All payments in Belarus are made in Belarusian rubles. Authorized currency exchange centers are widely available throughout major cities. ATMs are also available for use, and it has become easier to use credit cards and debit cards in Belarus, especially in Minsk; however, this does not mean that it is safer to do so. There have been reports of instances in which U.S. citizens have had their card numbers “skimmed” and the money in their debit accounts stolen or their credit cards fraudulently charged. In addition to skimming, the risk of physical theft of credit or debit cards also exists. To prevent such theft, the Embassy recommends that travelers keep close track of their personal belongings and only carry what is needed when out. If travelers choose to use credit cards, they should regularly check their account status to ensure its integrity. Persons seeking to marry in Belarus should consult the information located on the Embassy web site at http://minsk.usembassy.gov/marriage.html. Persons violating Belarusian laws, even unknowingly, may be expelled, arrested or imprisoned. Penalties for possession, use, or trafficking in illegal drugs in Belarus are severe, and convicted offenders can expect long jail sentences and heavy fines. Access for U.S. consular officers to U.S. citizens in detention is often limited and/or delayed. Although U.S. citizens are able to obtain legal representation, there has been at least one case of delayed notification, hindered consular access, limited medical treatment, and trial behind closed doors. Please see our information on Criminal Penalties. Americans living or traveling in Belarus are encouraged to register with the nearest U.S. Embassy or Consulate through the State Department’s travel registration web site so that they can obtain updated information on travel and security within Belarus. The U.S. Embassy is located in Minsk at 46 Starovilenskaya Ulitsa; telephone (375 17) 210-1283 or after hours (375 29) 676-0134, fax (375 17) 334-7853 or (375 17) 17-217-7160 (consular section). This replaces the Country Specific Information for Belarus dated December 7, 2007, and updates the sections on Exit/Entry Requirements, Safety and Security, Information for Victims of Crime, Medical Facilities and Health Information, and Criminal Penalties. Minsk, Aug 2, 2018 (AFP) - A massive corruption scandal has rocked the health service of ex-Soviet Belarus, leading even officials in the country dubbed "Europe's last dictatorship" to call for an overhaul of the system. Authorities have arrested dozens of medics, drug company representatives and bureaucrats on suspicion of siphoning off millions of dollars in state funding. Valery Vakulchik, head of the powerful KGB state security service, in televised comments last month denounced what he called a vast system of procurement of drugs and medical equipment at inflated prices. Prices were habitually hiked by up to 60 percent and in some cases even doubled, he said. Following his announcement, 37 top health officials were arrested and criminal investigations were opened involving 60 people including local representatives of international pharmaceutical companies. The KGB chief acknowledged that the Soviet-style bureaucracy in the country bordering the European Union, ruled by strongman Alexander Lukashenko, helped promote corruption. "The existing system of procuring medical equipment and drugs created the conditions for corrupt practices," he said. "Bona fide suppliers could not rely on a positive outcome," he added, while procurements were made not directly from producers but "via numerous middlemen (and) finance companies." Those detained in the scandal include deputy health minister Igor Lositsky, doctors at reputed clinics and leading business figures involved in producing and importing medicines. One of the arrested businessmen is Sergei Shakutin, director of Iskamed group, who is the brother of one of Lukashenko's close associates. Belta state news agency has published photos of searches at the home of a medical centre director that uncovered $500,000 in cash. Officers also found $620,000 in the garage of the director of a public enterprise that imported medical equipment. The KGB chief said bribes paid to corrupt officials amounted to millions of dollars. "There will be further arrests since the people detained so far are just the perpetrators," Sergei Satsuk, editor of news site Yezhednevnik, who is familiar with the case, told AFP. The chief beneficiaries in such schemes were retired law enforcement officials who set up companies to enter the lucrative medical equipment market, Satsuk said. "In 10 years they drained all the juice out of the country's medical system," he said. He said this involved supplying equipment that was not just over-priced but also often lacked the necessary certification or came with faked documentation. Some equipment was imported as second-hand but re-sold as new. This is one of the biggest corruption scandals in the history of Belarus, which is wedged between Russia and Poland and has been led by Lukashenko since 1994. "Bureaucracy has privatised the state. We need to reform the whole system of state management, otherwise corruption schemes will spring up wherever budget funds are being spent," independent economist Yaroslav Romanchuk told AFP. Other smaller corruption scandals have in recent years hit the sports, forestry and energy ministries as well as large companies, factories and banks. Three ministers have been sacked and senior bureaucrats and regional officials have been arrested. "Even if you clean out the state structures of bribe-takers, corruption won't die in Belarus for a single day," said Romanchuk. "The very next day new people in old posts in the old system will relaunch the old corruption schemes." The system "creates the most powerful temptation to set up schemes with kickbacks, bribes, swindling and abuses of office," Romanchuk said. Minsk, July 24, 2018 (AFP) - Belarus on Tuesday announced that it is extending visa-free travel for tourists from five days to 30 days in a move that could attract more visitors to the ex-Soviet state on the European Union's doorstep. Strongman ruler Alexander Lukashenko signed a decree allowing visitors from 80 countries including 39 in Europe, as well as the United States, Australia and Japan to stay for 30 days. The ruling will enter force when the decree is published in one or two days. The decree says the move is aimed at "promoting further development of the Belarusian tourism sector" as well as making the country more attractive as a host for sports events and festivals and improving its connectedness to the global economy. Belarus said it is keen to promote itself as a medical tourism venue and for people keen to recuperate and undergo spa procedures at its sanatoriums. The visa-free rule requires visitors to fly in and out of Minsk's main airport. As before, the visa exemption does not apply to foreigners arriving or leaving from Russia because of a lack of border controls betweeen the neighbours. Minsk has close ties to former Soviet master Moscow, with Belarus part of an economic union with Russia. Chinese people will also be covered by a separate visa agreement that comes into force in August. Ties between Belarus and the European Union have improved since the 28-nation bloc began lifting most of its sanctions on the country in 2015 after Lukashenko released high-profile political prisoners. Belmopan, Belize, May 17, 2016 (AFP) - Belize has joined the growing number of Latin American nations grappling with the Zika virus, after the health ministry confirmed the country's first known case. Authorities said Monday the infected person resides in Belize City, adding that efforts would be taken to prevent the virus from spreading. "An immediate investigation was launched and several actions were simultaneously initiated to minimize and contain a potential outbreak," a health ministry statement said. The mosquito-borne Zika virus can cause the birth defect microcephaly, which can cause babies to be born with unusually small heads and deformed brains. Rospotrebnadzor [Federal Service for Consumer Protection and Human Welfare] reported that the 1st death from tick-borne encephalitis has been registered in Moscow. The tick-borne disease was imported. Rospotrebnadzor reports, "Infections in the capital are not registered this year  and have never been registered previously. The patient was infected in Belarus." According to Infectious clinical hospital No. 1 of the Department of Health of Moscow, 10 imported cases of viral encephalitis were identified in the 1st half of 2015; 2 cases of infection occurred in the Altai region and in the Republic of Karelia. 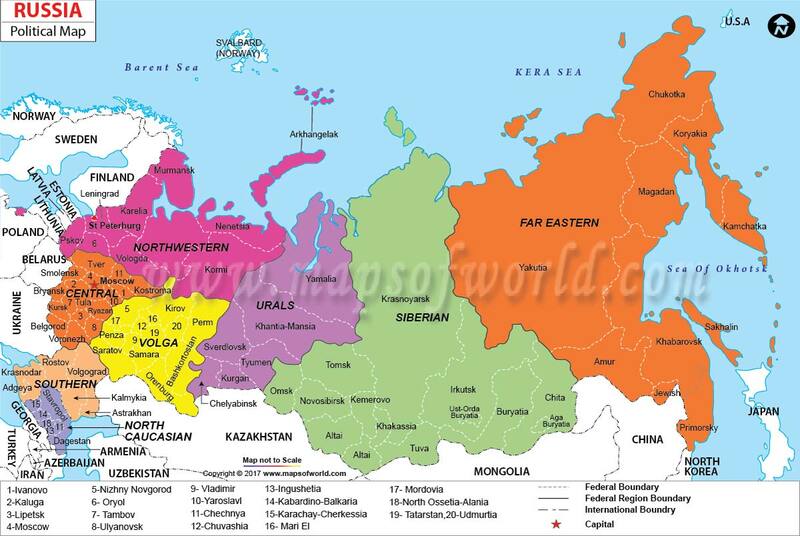 One [imported] case was brought from the Kostroma region, the Yaroslavl region, the Volgograd region and the Republic of Udmurtia, as well as from Belarus and Mongolia. Rospotrebnadzor also reports that the rise of the biological activity of _Ixodes_ ticks was noted. These ticks are considered the main vectors of infections such as tick-borne spring-summer encephalitis, tick-borne borreliosis (Lyme disease), granulocytic anaplasmosis, and monocytic ehrlichiosis. [Nearly 10,000 people sought medical aid after tick bites in Moscow for the period April-June of this year (2015), among them there are more than 1900 children up to 17 years. Last year (2014) for the same period it was recorded that around 8000 people sought medical aid after tick bites. The ticks attacked people mainly in the territory of the Moscow region. This is the season of tickborne encephalitis virus (TBEV) transmission in Russia and neighboring countries. Russia, especially western Siberia, has the largest number of reported TBE cases. For additional details on TBE, see Mod.LL's extensive comments drawn from the US CDC (<http://wwwnc.cdc.gov/travel/yellowbook/2014/chapter-3-infectious-diseases-related-to-travel/tickborne-encephalitis>). The CDC information notes that in Russia, 2 inactivated TBE vaccines are available: TBE-Moscow (Chumakov Institute, Russia) and EnceVir (Microgen, Russia). The European and Russian vaccines should provide cross-protection against all 3 TBEV subtypes. Vaccine failures have been reported, particularly in people aged over 50 years. Belarus has 1 imported case of measles. The Ministry of Health of Belarus does not rule out the possibility of other imported cases of measles. This is especially true during the summer holidays and vacations. According to the deputy chief doctor of the "National Center for Hygiene, Epidemiology and Public Health," Lyudmila Naroychik, other European countries often record measles. In 2014 Belarus recorded 5 imported cases of measles. So far in 2015, Belorus has already record 1 imported case. The infections have been from Russia, Israel, Spain, Turkey, according to BelTA [unclear whether this refers just to 2014, or other years as well]. Measles is included in the national immunization schedule, and if vaccination is carried out, even in adulthood the person retains immunity. In this regard, it is important to get vaccinated before traveling abroad.